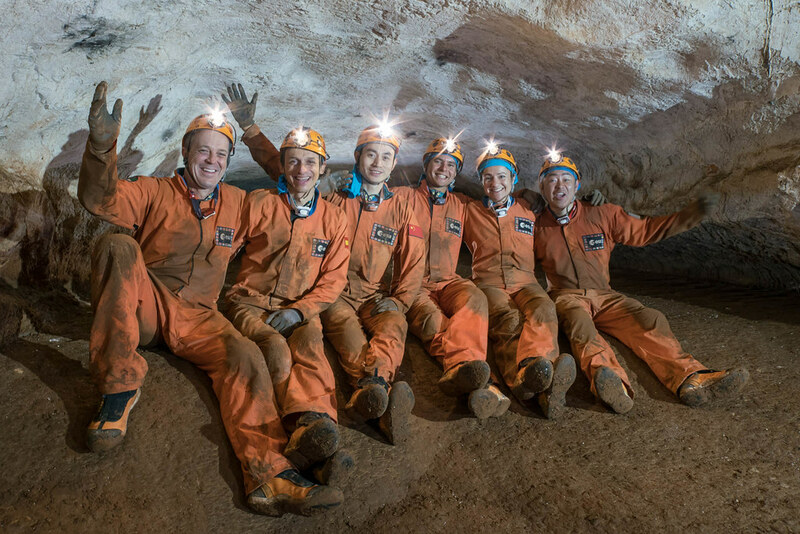 A report on the first full day spent in the cave. All cavenauts and staff spent the night at the campsite and were all in a very good mood. 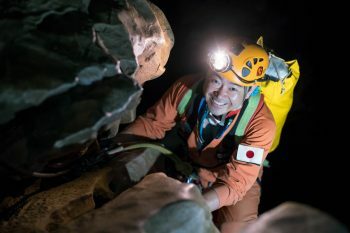 The Crew split into two teams, one remaining at the campsite and the second going to perform science in the first part of the “4th wind” cave branch. At the campsite, the inventory was checked and the camp set up. Responsibilities were officially handed over to the commander, Japanese astronaut Aki Hoshide and the campsite manager, NASA’s Ricky Arnold. The science team checked a water-drip sensor at “Bell Hall” and placed a pressure sensor, before the 4th Wind. They will collect the data from these sensors on their last day, DAY 6. 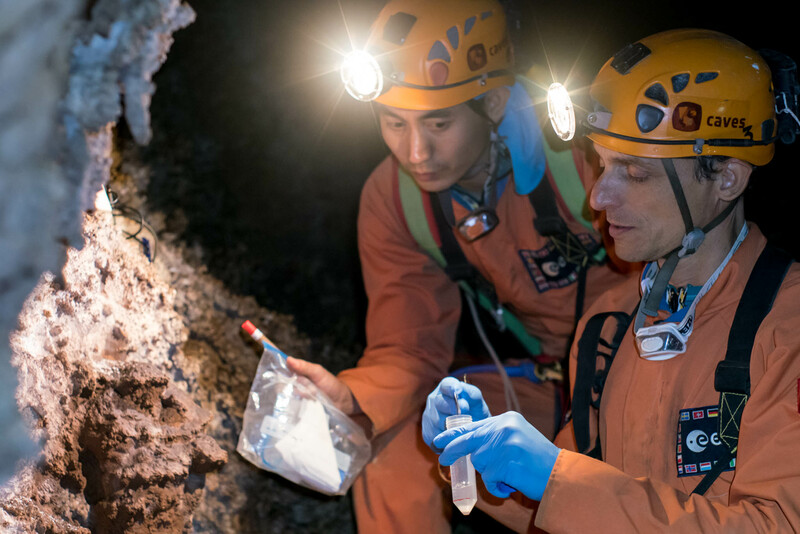 The cavenauts performed their first microbiological sampling at “Sala Piredda”. Activities went as planned except for the placing of two temperature sensors. After troubleshooting the sensors were activated, but will be installed on DAY 2 when they start to explore the 4th Wind Branch. Once back at the campsite, the cavenauts performed water sample titration that they had collected from near “Camp Chessa”.